Mycorrhizae can help lower turf management costs over the long run. A living soil and healthy turf will retain nutrients, build soil structure, reduce stress and minimize certain maintenance activities. 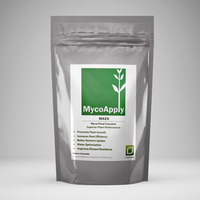 Applying MycoApply® to established gardens will result in a wide range of benefits for plant health. Generally it is possible to reduce fertilizer and water requirements by 30% and achieve similar or greater yields. We have changed website provider and your existing password could not be migrated for security reasons.